Home > How Much Weight Is Safe To Gain During Pregnancy? How Much Weight Is Safe To Gain During Pregnancy? Do you question how much weight is safe for you to gain during pregnancy? This is a common question for mothers-to-be. First of all, you are supposed to gain weight, so it’s important not to stress over it when you do. However, it is important to know how much weight represents a healthy gain for you, and when you should gain it. Gaining too much weight during pregnancy can present health hazards like gestational diabetes, hypertension, preeclampsia, and possible complications during labor and delivery. Although you will need extra weight to support your baby’s growth and development, “eating for two” is not a healthy approach to eating during your pregnancy, and being pregnant is not a blank ticket to overindulge. The Centers for Disease Control and Prevention (CDC) released findings on gestational weight gain showing that 47 percent of American moms-to-be gained more than the recommended amount of weight during pregnancy. This put their health and that of their babies at risk both during and after pregnancy. Not gaining enough weight during pregnancy increases the risk of low birth weight babies and pre-term deliveries. The recommended amount of weight gain depends on your pre-pregnancy weight; if you are overweight when you become pregnant, a weight gain of 15-25 pounds is recommended, if you start at a healthy weight, 25 to 35 pounds is recommended, and if you are underweight, 28 to 40 pounds is the recommendation. A lack of weight gain in the first trimester is not unusual, especially if you suffer from morning sickness. During the second trimester, weight gain should pick up. If you started out pregnancy at a normal weight, you should expect to gain around 14 to 15 pounds, as your baby is growing rapidly during this stage. During the third trimester, your baby’s weight gain will continue, but yours may start to taper off. You should expect a gain of approximately 10 to 12 pounds at this point. To gain the right amount of weight during pregnancy, don’t use the “eating for two” mentality to double your caloric intake, or you’re likely to gain too much. Start by simply adding a snack of around 300 calories to your daily menu. Your meals and snacks should be comprised of healthy, whole foods whenever possible such as fruits, vegetables, healthy proteins, whole grains, and dairy products. It’s also important to stay hydrated by drinking water throughout the day, and maintain a regular exercise routine, even if it is a simple 30-minute walk around the neighborhood in the morning, at lunch, or after dinner. If you’re carrying twins or multiples, consult with your doctor about the correct amount of weight gain and exercise to maintain optimal health during your pregnancy. While the volume of food you consume is important, the nutrition it contains is paramount to having a healthy pregnancy. When it comes to satisfying cravings, getting the protein and healthy fats that you and your baby need is the key. A high protein, high fat snack will keep you fuller longer than a snack consisting of processed carbohydrates. Think yogurt, cheese, and peanut butter instead of chips, crackers, or cookies. 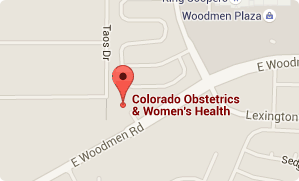 At Colorado Obstetrics and Women's Health in Colorado Springs, we offer complete obstetrical and prenatal care, for both routine and high-risk pregnancies. We care for women at every stage of life, from the child bearing years through menopause and beyond. If you are looking for caring OB/GYNs who will work with you to achieve and maintain your best possible health, give us a call today at (719) 634-8800 to schedule an appointment with one of our friendly women’s health professionals. We look forward to meeting you.